Pick towers are ideal for modern facilities and distribution centers, with a high degree of volume output and breakdown of palletized loads into cartons. 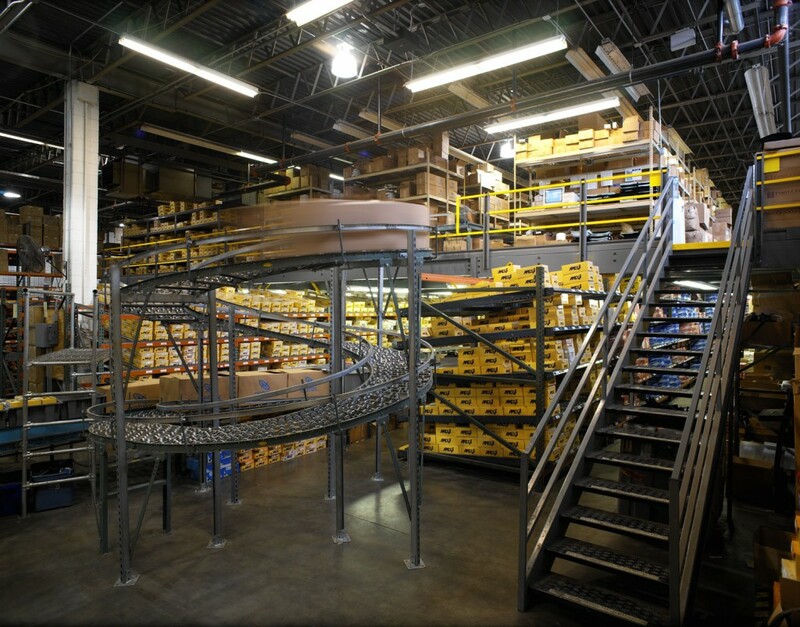 They are multi level systems that can incorporate pallet flow racking and selective shelving for slower moving inventory as well as fast moving product. 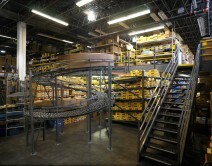 Goods can be picked to manually propelled carts, conveyors, and motorized pallet jacks for delivery to a sorting area before shipping or distribution.